There’s an optimum pinhole size, which is calculated taking into account the distance of the sensor to the pinhole. The theoretical best pinhole size for a DSLR is about 0.3mm (which equates to an aperture of f/150 at 45mm). This should produce the sharpest image possible – any larger or smaller and the resulting image won’t be quite as crisp (as you can see clearly from the comparison shots shown here). Obviously, the size of the pinhole greatly influences the correct exposure time. The pinhole shape (ideally perfectly round) and the thinness of its edge also have a huge effect on image sharpness and quality. At midday on a bright, sunny day you can expect a good pinhole to give you a one-second exposure at ISO100. At dawn or sunset, it may be hard to capture enough light in 30 seconds, so a good solid tripod is essential. The measly amount of light a pinhole lets through makes it very hard to see through the viewfinder – even with a good eyecup it may still be too dim. We found Live View works well for most normal daylight lighting conditions. Another option is to use a zoom lens at around 45mm to set the camera position, and then switch to the pinhole ‘lens. Since you can’t focus a pinhole, even the clearest image you create with one can never be described as crisp! The upside is that everything is equally in focus (or out-of-focus!) from right in front of the pinhole to the distant horizon – experiment by putting your camera in strange locations, such as really close to a foreground object, and enjoy the freedom of almost unlimited depth of field! The focal length is the distance of the pinhole from the sensor, and this determines your angle of view. 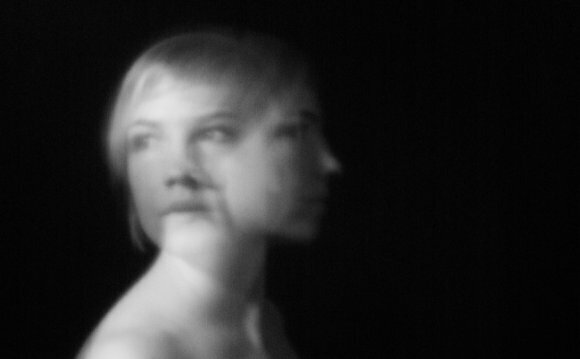 Allowing room for the mirror in a DSLR to operate means the closest you can physically mount a pinhole is about 45mm – close to the length of a standard lens. Aperture With a normal lens, aperture is adjusted by the aperture blades that open and close, changing the diameter of the hole that allows light into the camera. With a pinhole, however, the aperture is fixed – and it’s very, very small compared with the apertures you’re used to on regular lenses. The smaller the hole, the larger the f/number and the greater the depth of field. Aperture is calculated as follows: f/number = focal length/diameter of pinhole. As focal length is the distance from the pinhole to the camera sensor – in our case 45mm – and we have a 0.3mm diameter pinhole, 45/0.3 gives us an aperture of f/150. Use a pinhole to check if your camera sensor needs cleaning. The tiny f-stop of the pinhole – f/150 – puts your sensor glass in focus so you can see debris on it. Tape white paper to a window, set your DSLR to Manual, at 30 secs, and about ISO400 (so the white is one stop from the right of the histogram). With the camera close to the paper, take a shot while moving the camera slightly. In Photoshop open the image, click Image>Adjustments>Levels, and bring in the histogram end points almost to the white peak.